I usually do cakes for the kids birthdays. I have 80+ Wilton cake pans in the basement from my mom’s years of collecting. This year though, while perusing Pinterest, I stumbled upon http://www.buzzfeed.com/orator/how-to-throw-the-best-star-wars-birthday-party-i-badx?sub=2473708_1432322&s=mobile. I don’t currently have any Star Wars cake pans, so I thought I’d give this a try. I picked up three boxes of cupcake mix and stayed up until 1 am the night before baking. I safely stored them in the oven as our dog, Juliet, can not be trusted. 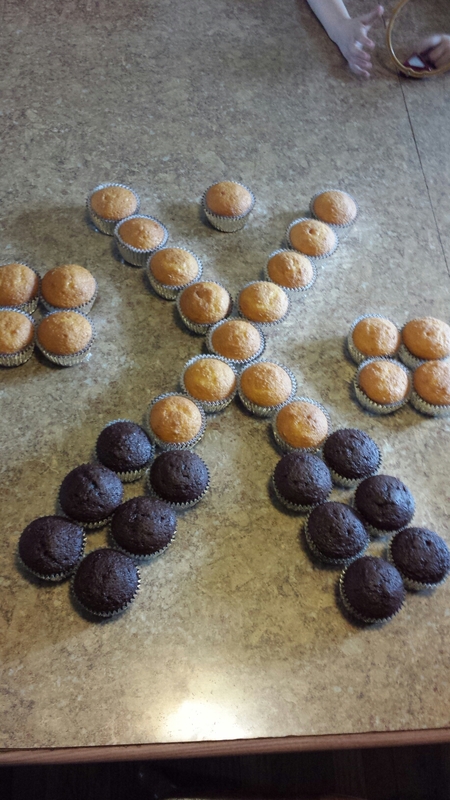 The next morning was decorating and cleaning time, so I sat down to play with the cupcakes about two hours before the party. I settled on the layout that I liked and got started with my super awesome, homemade icing. The kids love watching me decorate. Mainly because when I set the colors aside, I’m done with them, so it becomes a sugar inducing free for all! 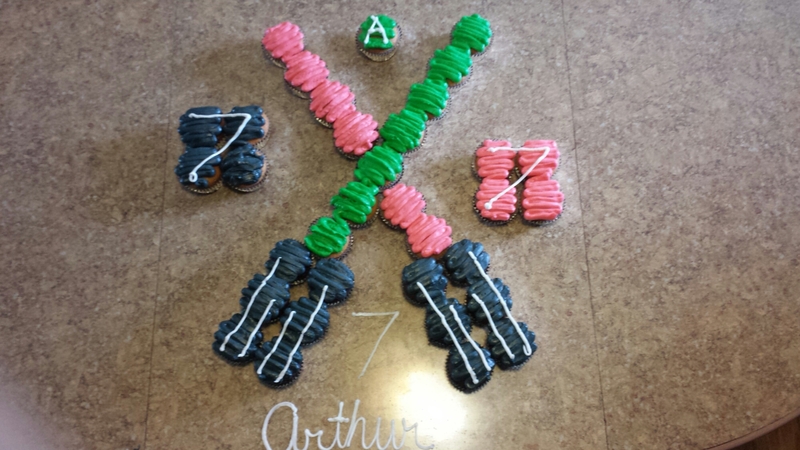 While I was decorating the cupcakes, I had Tony start on making our pretzel lightsabers. 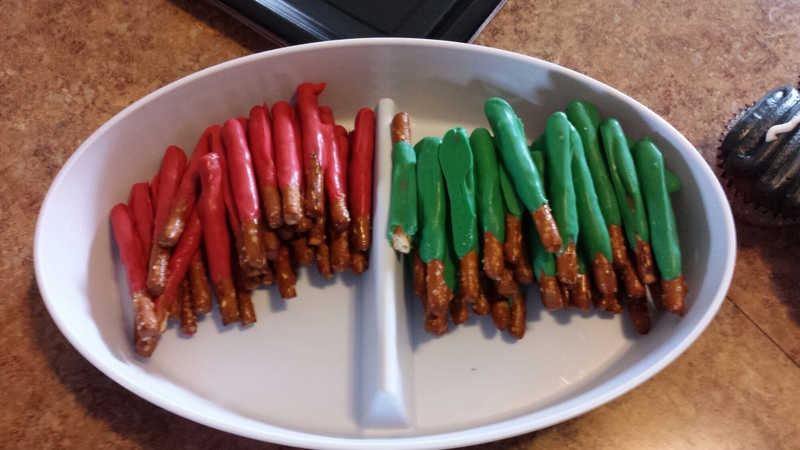 This just involved a bag of our favorite pretzels and the Wilton chocolate melts in red and green. You simply melt the chocolates according to the directions and dip your pretzel into the chocolate, leaving only the ‘handle’ uncoated. This is what we ended up with. They were delicious! The pretzel idea was just a picture, with no link, so I can’t share credit on that one. Party on people, party on!